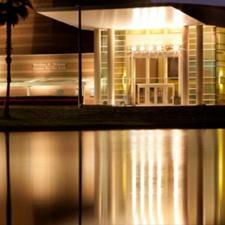 The 14th Annual High School Summer Musical Theatre Experience presents Disney’s Newsies. The Florida State College at Jacksonville High School Summer Musical Theatre Experience is celebrating its 14th year providing theatre opportunities to 7th-12th graders in the First Coast area. 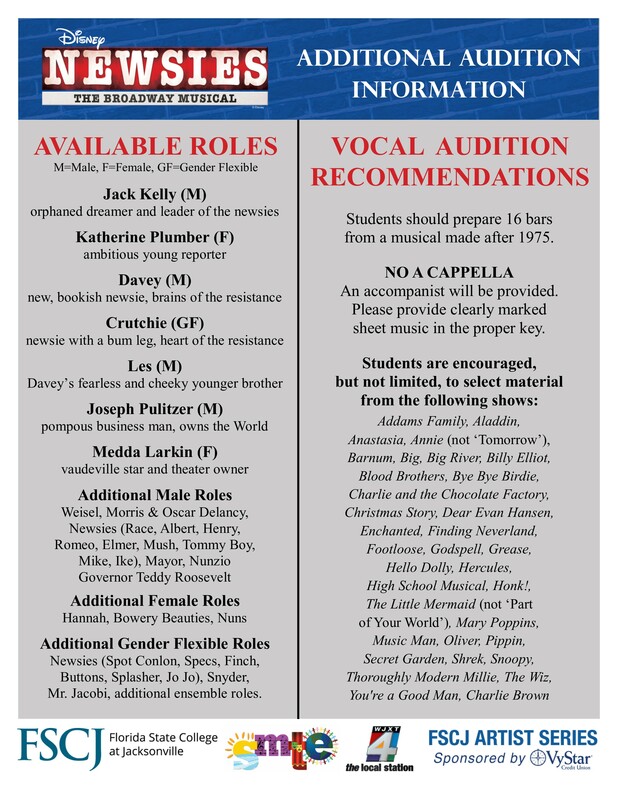 This summer, more than 70 student performers and technicians will train with professional theatre artists in preparation for our production of Disney’s Newsies. Experienced Dancers: Current 7th through 12th grade students experienced in dance, acrobatics, gymnastics, etc. Please attend only one audition date. - Saturday, March 30, 2019 at 10 a.m.
- Sunday, March 31, 2019 at 10 a.m. Performers: Current 7th through 12th grade students interested in acting, singing, and dancing. No previous musical theatre experience necessary! Please attend only one audition date. 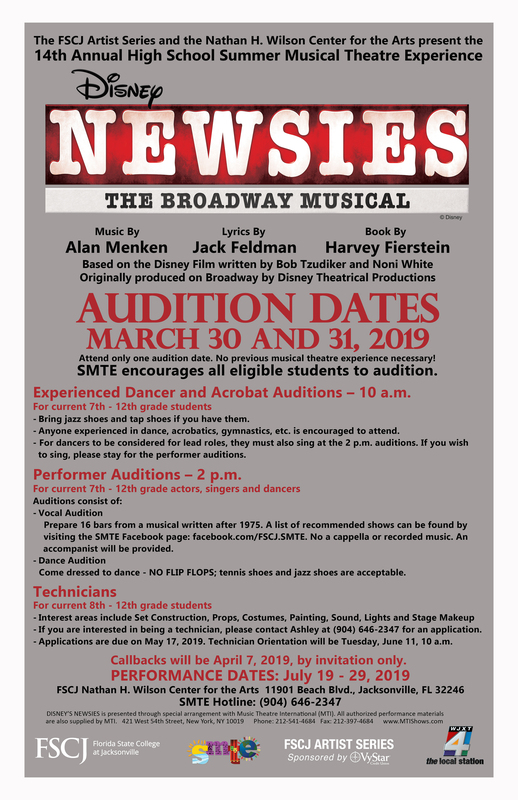 - Saturday, March 30, 2019 at 2 p.m.
- Sunday, March 31, 2019 at 2 p.m.
Technicians: For current 8th - 12th grade students interested in set construction, props, sound, costumes, lights and stage make-up. - Applications are due by May 17, 2019. - Submit application to Ashley.C.Weldon@fscj.edu or fax to (904) 646-2336.